Search Results for "sand dunes"
The Heavens 0412: Sand dunes under a crescent moon in a desert night (Loop). 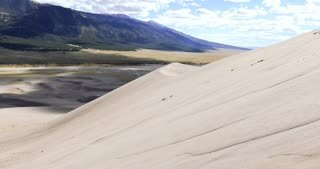 Sand Dunes - An HD drone video footage of flying over sand dunes. Has mountains in the background. 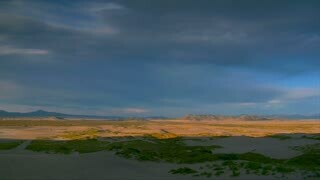 Top Of The Sand Dunes / Aerial 4K footage of people on top of an enormous sand dune with mountains in the background on a cloudy day. 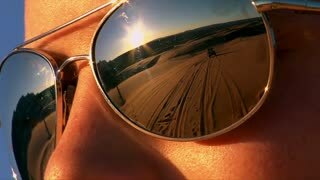 Slow motion of young couple walking on sand dunes in sunset. Dunes 012: A starry night sky turns over desert sand dunes. Low angle drone extremely fast flying over sand dunes in desert. Aerial view. 4K sunset over sand dunes in Erg Chegaga, in the Sahara desert, near Zagora, Morocco. Close-up view of sand dunes in desert.